We all find reasons to visit exotic places around the world. There are some places though that may strike your wanderlust despite being opposite of a dream-vacation-land. In this blog post, I want to take you on a tour of the world’s top 5 harshest places that are impossible to explore for long because of the natural conditions. Mother Nature births beautiful places in the different environment. Some of them are in the harshest environment. These sites are not only impossible but fatal to live in. If you are feeling particularly adventurous, venture out on your own free will. Many times we think of shoving someone’s head in burning sulfur. Our anger is wrong! But did you know there is a place where you can do so? Dallol in Ethiopia is a volcanic site. The rugged terrain has sprawling volcanic lakes. These hell-like lakes are not just any lakes; they are full of acid and sulfur. So, if you want to go near it, then go at your own risk. The temperatures here reach an average of 35 degrees Celcius all the year round. It is unfortunate to say that, Dallol is the hottest inhabited place on Earth! Yes, you read that right, it is inhabited. People who live here have no means of transportation, not even roads. You can travel on the hot volcanic terrain on a camelback. After reading about the hottest inhabited place, let us move on to the highest inhabited place. Le Rinconada is in Peru. You can say it is a quaint town in the Peruvian Andes. This little town is not so small after all. It has people flocking to it, because of the gold rush. Even at the height of 16,700 feet where people should suffocate for oxygen, people settle here. Talk about gold motivation! 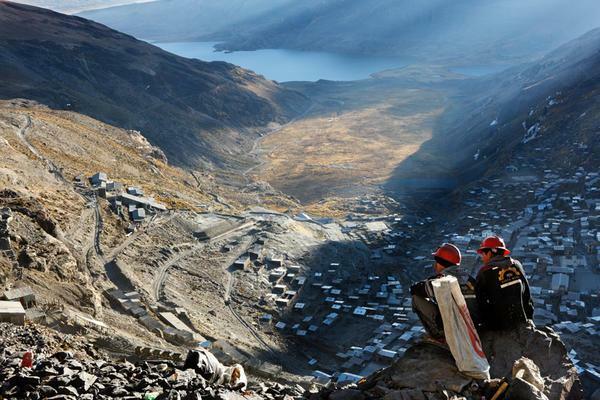 The highest spot on earth, where people live offers gold as bribe in place of oxygen. The wide expanse of wilderness spans across four countries, making it the largest non-polar desert. 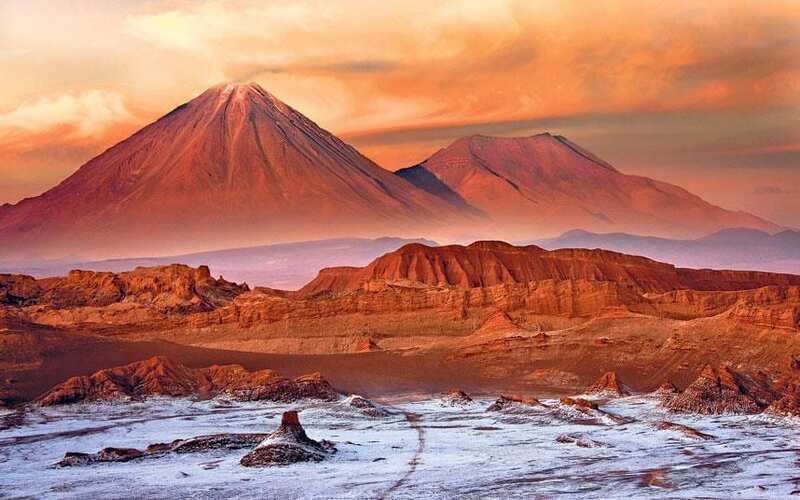 Atacama desert might cover Peru, Bolivia, and Argentina but it’s the part of Chile that is the harshest to live in. The temperature here rises to 50 degree Celsius. And it hardly receives an annual rainfall of 0.51 Inches. With little to no water for hundreds and thousands of miles in Chilean Antofagasta, how is a man gonna survive? That remains the biggest question. When we talk about extreme places, we see they are either bone-freezing cold or brain-melting hot! But there is a place in Russia that happens to experience both types of climates. Now, this is what extreme tourism is all about. Whether you believe it or not Oymakon is the coldest inhabited place on earth. Temperature drops to a deathly low of -67.7 degrees Celsius. 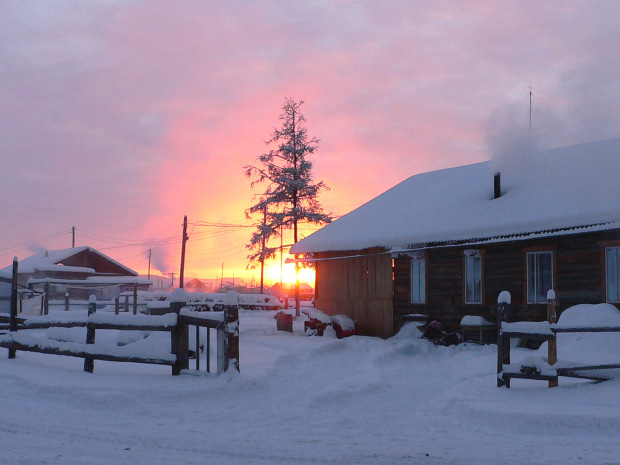 But after the tiring cold weather, residents of Oymakon are set to deal with the scorching hot summer. Two sides of the coin are just the same in Oymakon; the only difference is one is hot and another cold. The name assigned to this national park in California suits it perfectly. While we talked about the hottest, driest, and highest places on earth; Death Valley somehow must have smirked behind our back. It is a must-mention in the list of harshest places. 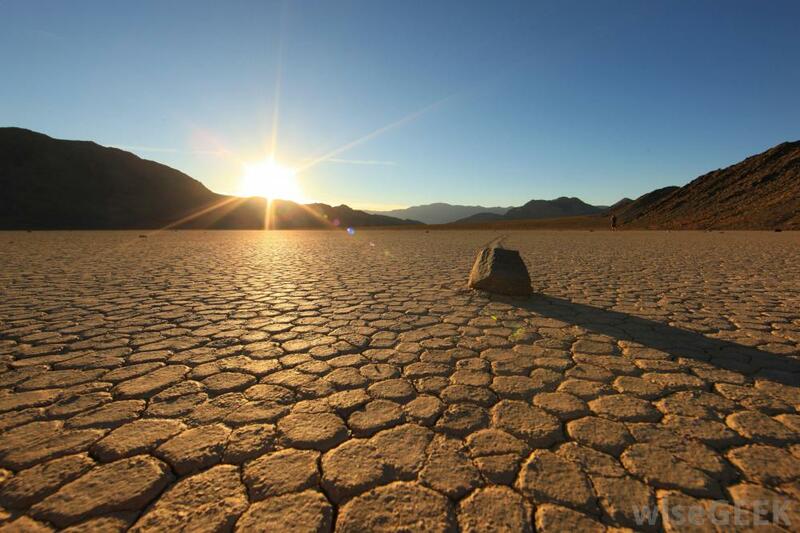 Where the Atacama Desert receives the lowest rainfall, Death Valley witnesses the hottest of temperatures. It is hard to live here for more than the twelve hours; you may die of dehydration. Temperatures reach a high of 51 degrees Celsius, then how is any human supposed to survive here? Yes, Death Valley is a National Park in the US and hundreds of thousands of tourists do visit the park (only if for few hours).